Drugs can have a very big affect on our lives. Whether you actually use them or if someone you love/care about uses them, they can have a big affect on us one way or another. Myth Matcher is an interactive and informative app which has been developed by QCP Entertainment which is in association with DRUGAID and TEDS substance and misuse services. It uses both a fun puzzle game and factual information and guidance about drugs and alcohol. This includes mephedrone, alcohol, cannabis, steroids and image enhancing drugs and diazepam. Myth Matcher is absolutely free to download from the Apple AppStore and on Android via Google Play. As part of the launch, there is also a competition running for the young people of Rhondda Cynon Taff and Merthyr Tydfil which includes a £30 gift voucher prize. 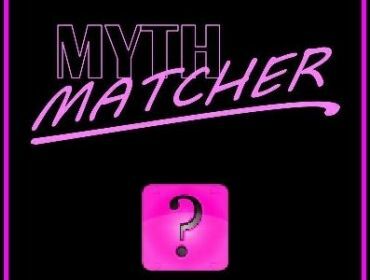 To enter the competition, download the Myth Matcher app, play the game and reach the high score table! Take a photo/screenshot of your device’s screen and email it to mythmatcher@live.com and make sure you include your name and contact details. The competition is for under 18’s only and the closing date is July 1st 2013. Good luck! 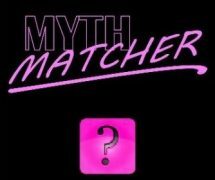 Download the Myth Matcher app here. If you enjoyed the app, why not comment below with your thoughts or even upload an article to review it? Are The Pitchforks The New Band In Town?